This feels and tastes mean, largely because it is. But just because it treats you like life on Keith Richards’s face isn’t an automatic disqualification…I just call it inspired insanity, and have (much to my own surprise) given it the highest rating I’ve ever awarded to a 75% overproof. 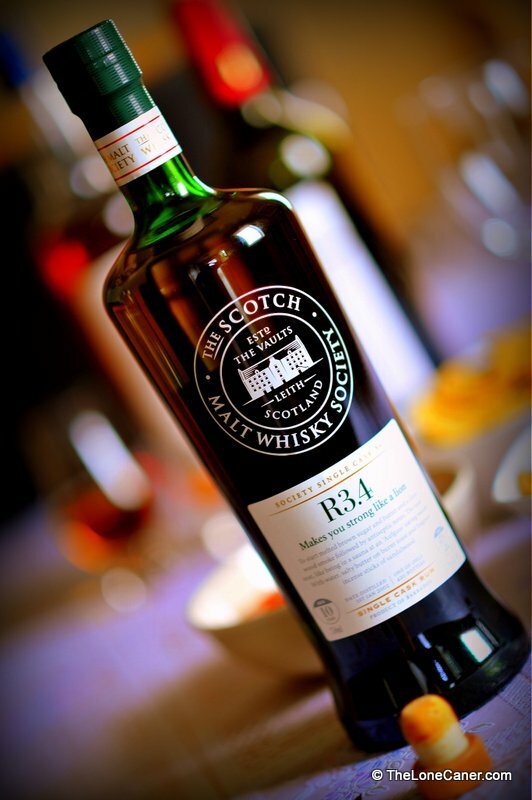 “Makes you strong like a lion”, the label remarks, in one of those tongue-in cheek references with which the SMWS likes to charm its buyers. 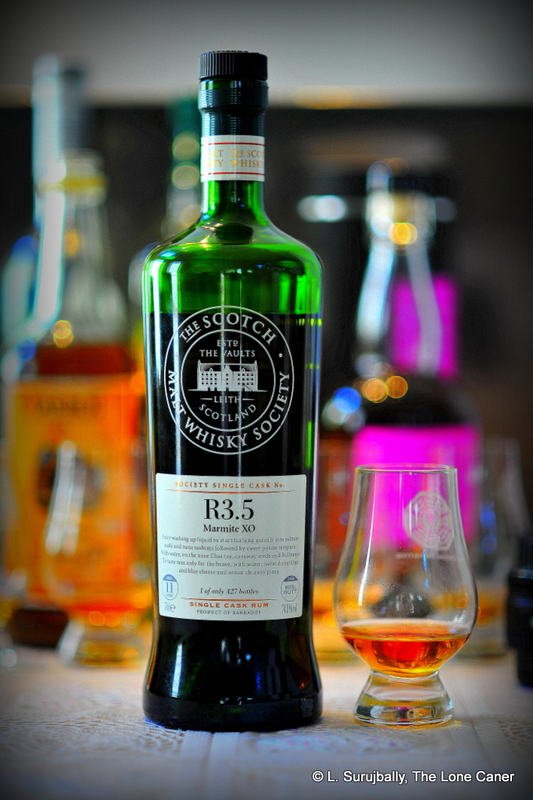 After being battered into near insensibility (on more than one occasion) by the raging yak that was the SMWS R5.1 Longpond 9 year old 81.3%, you’ll forgive me for approaching the almost-as-torqued up 75.3% R3.4 rum with something akin to serious apprehension. 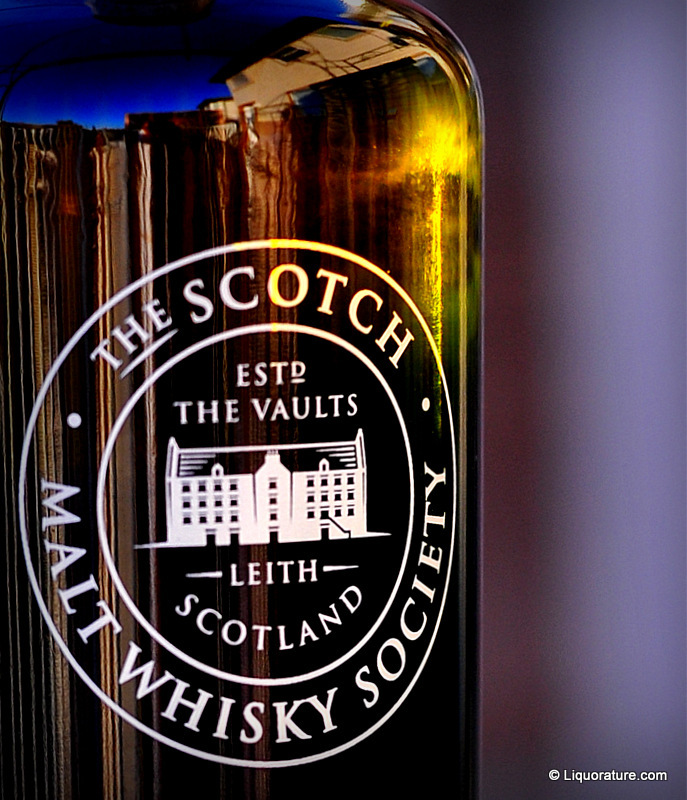 I mean, I love strong and flavourful rums of real intensity, but it’s my personal belief that the folks at SMWS are snickering into their sporrans when they issue these massive overproofs, hoping that the lesser bred such as I will get a hurt real bad, be put under the table for the count, and swear off rums altogether. You kind of have to admire their persistence in the matter. What we had here was a 75.3% rum issued this year (2013), with the usual obscure moniker “R3.4” which my research suggests makes the rum from the Rockley Still from the West Indian Refinery in Black Rock, Barbados. About which, I hasten to add, I know little, not having tasted their products (Bristol Spirits has a couple from there, which I hope to get my grubby little paws on one of these happy days). 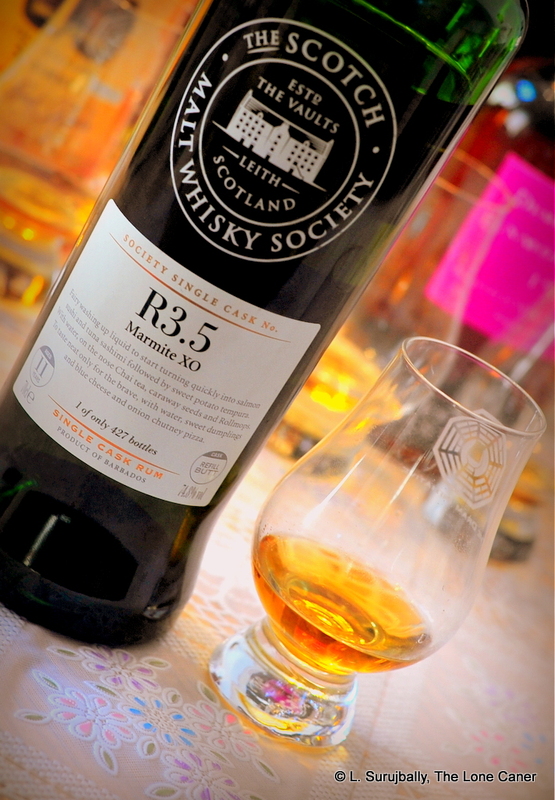 Dressed up in that delightfully tall, menacing camo-green bottle that is their standard, the R3.4 decanted a pungent, blonde-amber rum into the glass, quite innocently. Here, come try me, it seemed to invite, and you just knew it was suckering me in…fortunately, I had previously sampled its sibling, so I was prepared, having learnt my lesson by now: I let it stand, and then nosed it very, very carefully. Bam! it went, right away, even after a few minutes. My God, but this was strong. Shudderringly odd, this was a rum in psychopath mode, a snorting, rearing mustang of pent up aggression. Creamy, buttery, slightly salty, almonds and peanuts stomped my schnozz right out of the gate. As sharp as a sushi master’s knife, yes, but Lordie, there was a lot going on here. As it opened up it presented even more: bananas, some mustiness and smoke, the faintest odour of Benedictine. 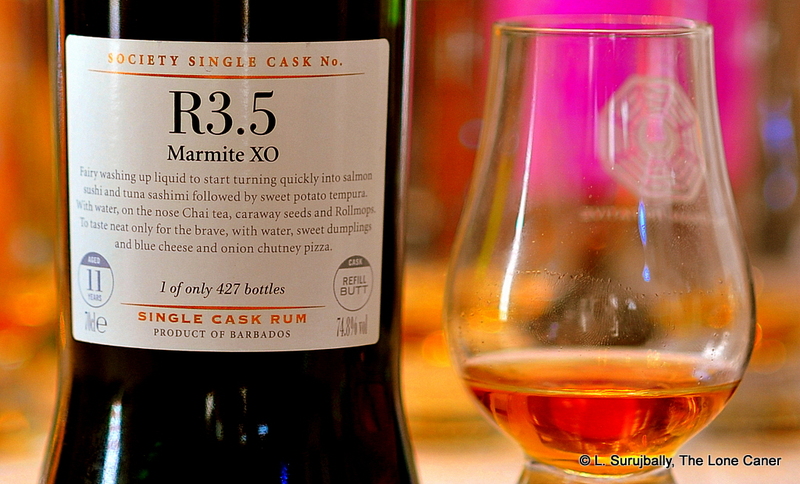 I was impressed in spite of myself, and marked it high for sheer originality, because all other 75% rums (the 151s, if you will), were so straightforwardly simple and relatively uncomplex, that finding this plethora of nasal riches was a welcome surprise. As for the palate, coat your tongue with fire suppressant material before drinking, in case your rum-drinking life flickers before your eyes. Once the fire subsided, the same creamy chewiness from the nose carried over well upon arrival – butter melting in an iron skillet, fried bananas, all wrapped up in a herbal background I couldn’t quite separate out. Intense, very intense. 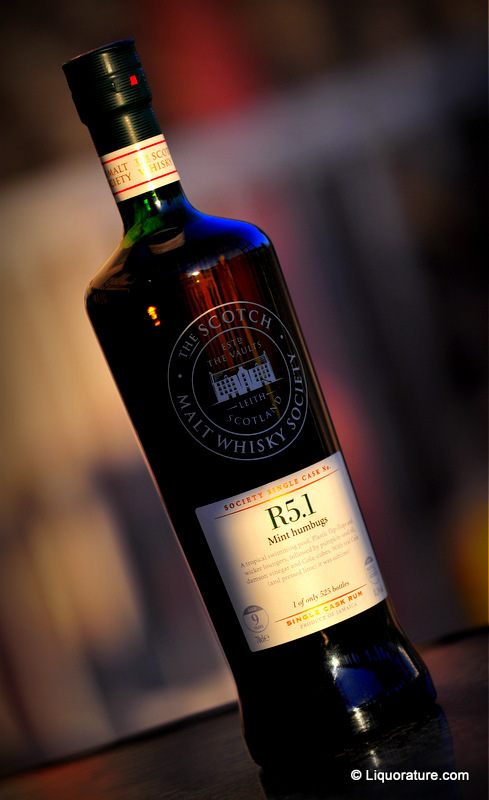 Wood, grassiness, rosemary, sorrel, with a snarky element of smoky peat in there someplace making mischief. It honestly felt like it was powered with fire and brimstone, this one, yet nowhere near as barefacedly badass as any of the other 151 rums I’ve tried in the past…there’s some real couth here, honestly. But of course it is damned strong, and so warning of sobriety transmuted to drunkneness in 2.5 shots is not me being overly metaphorical.. The fade, as befitted an overproof rum, was quite long and very solid, heat and warmth without real spice, somewhat fruity, nutty, salty, and giving up last hints of oats and bran. I s**t you not, this rum was quite something, and Stuart, who was drinking it with me (he had been clouted about the ears with the Longpond as well, and was therefore understandably cautious with this one), liked it so much he immediately started calling around asking where he could get hisself some too. All right, so let’s sum up. Short version, if you want a good time, no stress or aggro, buy something softer…like the Centenario Legado, for example. If you want to be astonished out of your socks by a rum explosion of startling, glute-flexing originality, this is the one to get (if you can). You don’t need to be a rum snob, collector or even a rum lover to appreciate a bit of overproof blending skill on your table (or your office desktop after hours). It’s been a long running gag on Liquorature that I resolutely refuse to admit that whiskies have pride of place in the spirits world, and the crown should rightfully go to the rums. 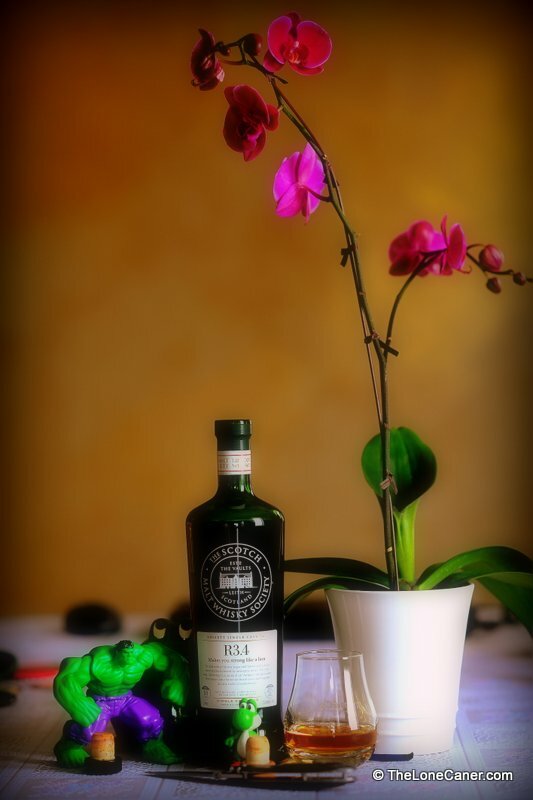 Here’s one I wish we could get more of, ‘cause it kinda proves my point (it’s made by whisky lovers, much to my annoyance). Drinking this, trying to describe it in words, I am faced with bafflement. I don’t know. It’s crazy. This rum is liquid, industrial-strength factory effluent that tastes three times as good as it should.